July 12th-A Warrior’s Penance release date! 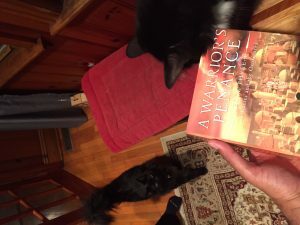 The grand finale to the series, A Warrior’s Penance, is ready to launch. Just 13 more days to go! And if you’re going to purchase the book, I would be grateful if you considered preordering. The more sales Amazon sees on launch date, the more likely they are to use their supreme mastery of the universe to promote my books. I could really use that kind of help. 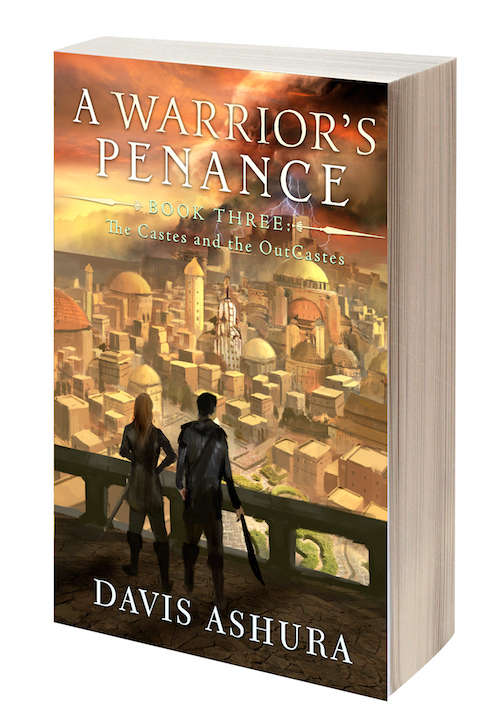 I’ve got a firmish release date for A Warrior’s Penance, book 3 of The Castes and the OutCastes, so I have it available for pre-order on Amazon. Here’s the link. I’m also doing a omnibus ebook edition. I can’t do a print omnibus, though, since the entire series is over 1600 pages long. Here’s the proof of the proofs. Oh yeah, and my two cats, the inspirations for Shon and Thrum, decided to photobomb the pic. Here’s the link. BTW there’s will be two more chapters after this one that I’ll be posting. After that…well, you’ll just have to read and find out what happens next when the book is released.